Broken leg is a serious problem that caused some reasons such crash. It is a problem which needs emergency aid to repair and back the bone on its first position. Not only on human, that’s problem also become serious to bird. As we know bird using their foot to perch, hanging, and grab the prey and another crucial things. You can imagine how hard their life if the legs is broken, isn’t? Usually, broken legs in bird cause by some reasons like fight, cage clamp, or disease. They would show some symptom like limp, lifted its leg, and moreover paralyzed. Basically bird paralyzes are so rare, the one who automatically paralyze when something not good on their legs is chicken. There is also wound which appeared when your bird had broken legs. 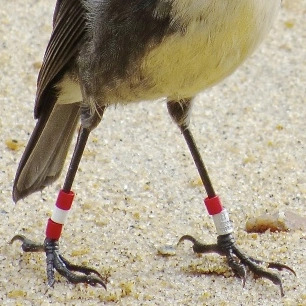 Generally, the broken legs in birds usually appeared physically. 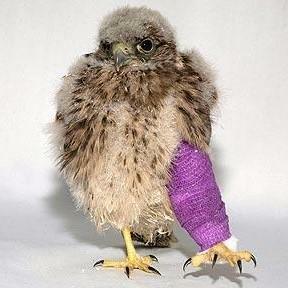 You may automatically bring your bird to the vet when they got broken leg. But you can give first aid to decrease some risks when you on the way. Moreover if your bird can heals without vet, would be greater right? Here are some steps to treat broken legs in bird. Clean the wound. The first step that you have to do is reduce the wound. It uses to decrease the spread of bacteria after the wound happen and the bone is out. Firstly, wipe the wound until the blood and some sands which stick to around the wound by using antiseptic. Basically there are not special antiseptic brand to the bird. You can use any brand as long as it is effective to clean the wound. Wipe until it clean. Be careful when you apply this step because the bird may feel sore and will attack you back. You better hold it tight on his head and make sure that the eyes are closed so when he tries to wriggle it wouldn’t hurt you. Cast the legs. After clean the wound, the next step is connected the bone. The main purpose of this treatment is for connected the bone. First of all, straight the broken legs properly. After that, take a tissue. Fill the tissue with a bamboo stem to keep the legs straight. Next, wrap the tissue into his whole legs and for finishing, stick the tissue using wood glue. Repeat this step into five or six times until it feels sturdy and enough to cast the broken legs. Hold the bird. After done the second step, you need to hold your bird until the glue is dry properly. It avoids your bird to break the cast because guess it as ‘something strange’ and need to remove it. Basically the whole of this steps using lemongrass. Peel off the lemongrass. The thing that needed to connect the bone is the sap. The lemongrass’s sap has some advantage to reduce this problem if you want to use homemade ways. As we know lemongrass is one of seasoning ingredients which generally used in Asia. This natural ingredient not only give the taste for your cuisine but also advantage for healthy both of human and animal. Swipe the sap into the broken legs bird. We have to directly heal the problem. After you clean up the wound after it open, you need to apply the sap into the wound. It helps to reduce the wound and rebuilt a new bone. The sap also helps for regenerate new skin so the wound will closed perfectly. Wrap your own cast over it. Close the wound and the bone using tissue and make sure to insert a bamboo stem to keep the legs straight before you wrap it up. Repeat the wrapping process until you feel it is enough to connect the bone. To lock it out, using a tape or wood glue will be worked. Don’t let your bird directly away. You better hold him tight in your hand after wrapping process. It avoids him to break the cast that already installed. Make sure that his eyes are close and don’t hold it too strong. Make sure that his foot is already straight perfectly to avoid his leg from bend. Your bird will be limp if you don’t place it straightly before it wrap. Also, the leg that is not straight will decrease the effectiveness of this treatment. After the treatment, you need to give them food with highly contained mineral, calcium, phosphor, and Vitamin D to keep the bone strong. Also, sun bathing every morning will also increase the power.